This perennial member of the daisy family grows to a height of 50 to 90cm and has downy stems and very downy wavy-edged lanceolate leaves. The narrow linear rays and the disc florets are golden yellow and form compound flowerheads 2 to 3cm across. This plant is common throughout the UK and Ireland except for the far north. 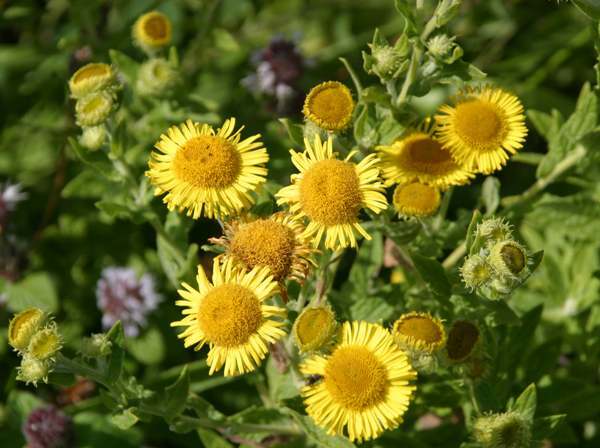 Common fleabane is a member of the very large family of daisies that grow throughout Europe. 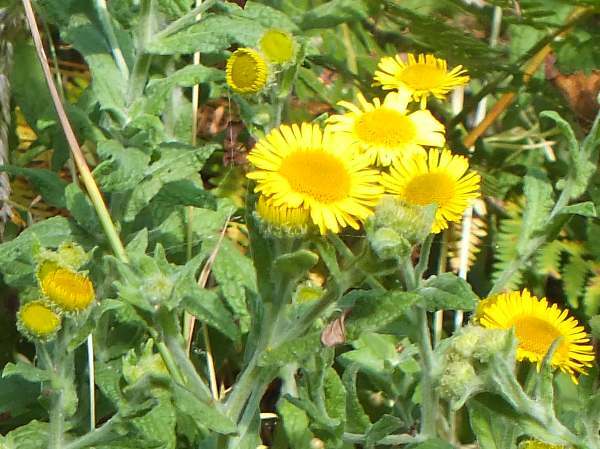 Common Fleabane is often found on the banks of streams, as it has a preference for marshy or at least permanently damp soil. 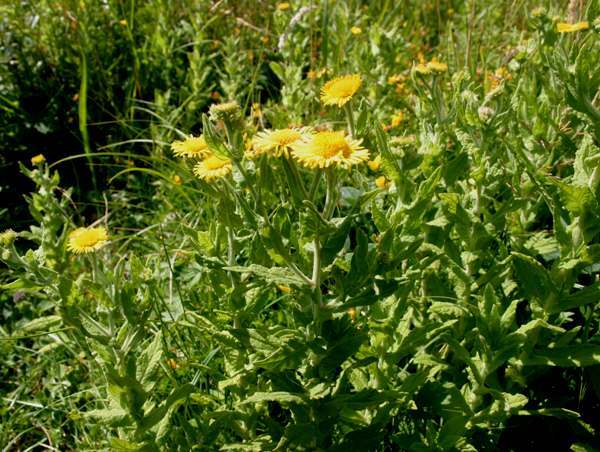 As an unwelcome weed it also occurs in gardens, and once established, is extremely hard to get rid of. The flowers are not long-lasting; they appear in August and are usually past their best by mid September. From the scientific name of this plant you may guess (quite correctly) that it was used in the past as a treatment for dysentery. 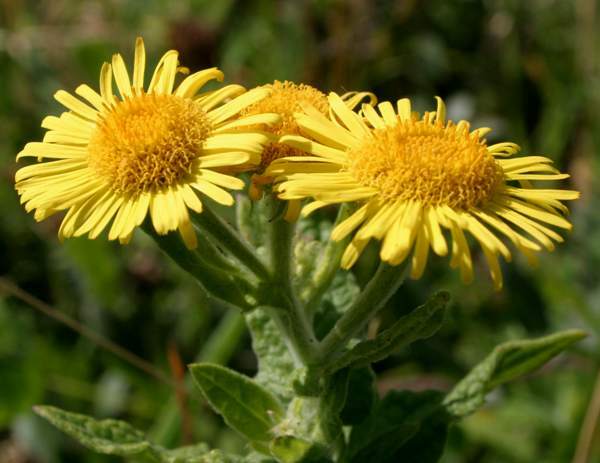 Its common name suggests another use of fleabane: to repel fleas. The plants shown on this page were photographed in West Wales.